“If the doors of perception were cleansed every thing would appear to man as it is, Infinite. For man has closed himself up, till he sees all things thro’ narrow chinks of his cavern.” -William Blake, The Marriage of Heaven and Hell. How nice it would be if there were no need for doors. But alas, we needed a new front door for our apartment building. 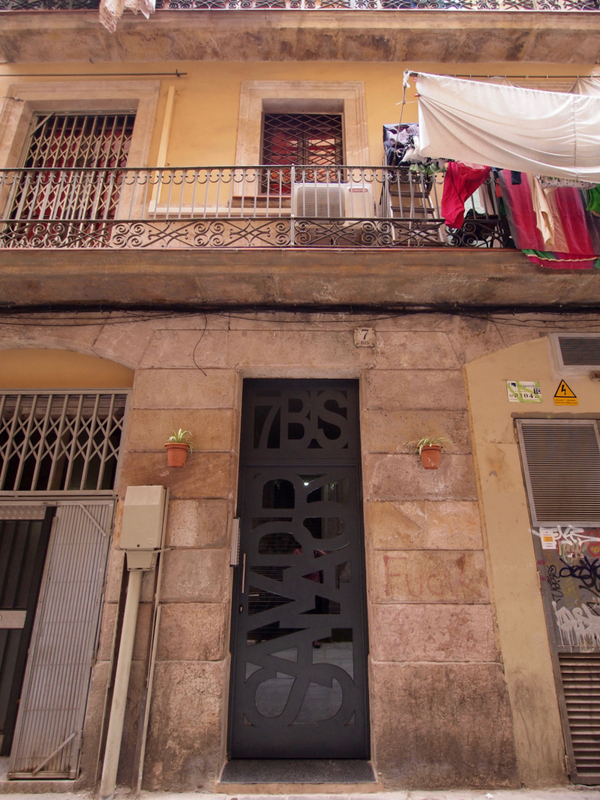 It’s located in the Barcelona neighbourhood of El Raval, where security is a concern. The new door provides both security as well as transparency by incorporating a steel plate which has been perforated by a digital laser cutter. 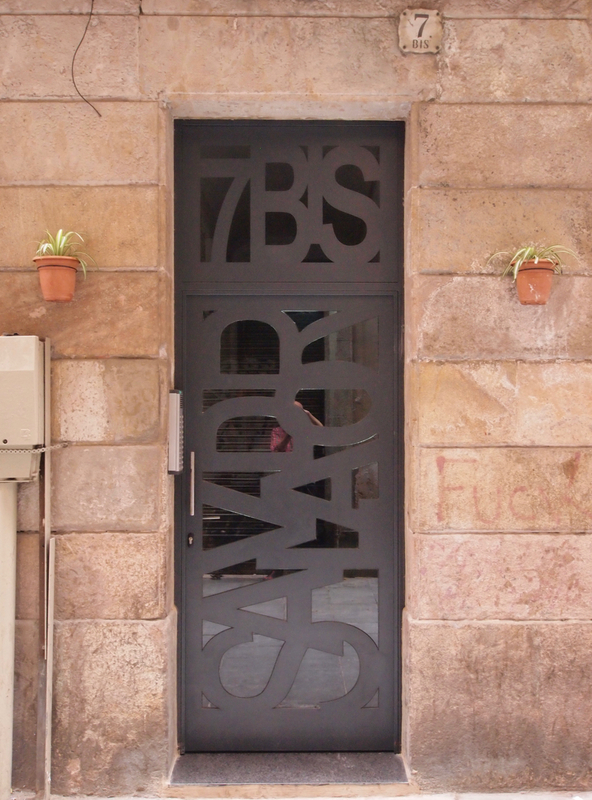 The perforations create a pattern of letters that spell the name of the street and the address number. The pattern was designed using Adobe Illustrator, then exported to AutoCAD for digital laser-cutting.